This comprehensive treatment of Neo-Kantianism discusses the main topics and key figures of the movement and their intersection with other 20th-century philosophers. With the advent of phenomenology, existentialism, and the Frankfurt School, Neo-Kantianism was deemed too narrowly academic and science-oriented to compete with new directions in philosophy. 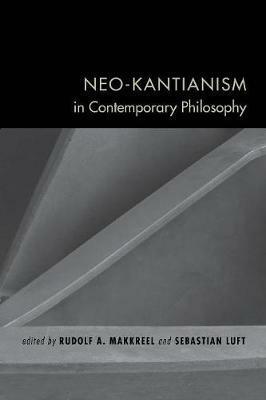 These essays bring Neo-Kantianism back into contemporary philosophical discourse. They expand current views of the Neo-Kantians and reassess the movement and the philosophical traditions emerging from it. This groundbreaking volume provides new and important insights into the history of philosophy, the scope of transcendental thought, and Neo-Kantian influence on the sciences and intellectual culture. Rudolf A. Makkreel is Charles Howard Candler Professor of Philosophy at Emory University. He is author of Dilthey, Philosopher of the Human Studies and Imagination and Interpretation in Kant. Sebastian Luft is Associate Professor of Philosophy at Marquette University and author of "Phanomenologie der Phanomenologie."